Looking for some new art for your home? The United Educators of San Francisco (UESF) and Sharon Studio’s is hosting its Retired Teacher's Sale. To me that sounds like they're selling retired teachers, but I won't go there. Oops, already did. The retired teachers will be selling hand-made art and crafts in like jewelry, textiles, photography, glass and mixed media. Plus, there's FREE ceramics hand-building in the ceramics studio open to all ages, from 11-3. 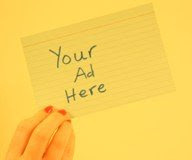 Children under age 10 should be accompanied by a parent. For those of you with teenagers or kids who will someday be teenagers, this looks interesting. "For years, scientists were driven by the assumption that brain growth was nearly complete by the time a child began kindergarten, leading them to believe that the adolescent brain was essentially identical to that of an adult—only with less mileage. However, new research shows the importance of formative teen years for brain development. Motivated by personal parenting experience (as the mother of two teenage boys), renowned neurologist Dr. Frances E. Jensen gathers discoveries about adolescent brain function, wiring, and capacity in a groundbreaking new book, The Teenage Brain: A Neuroscientist’s Survival Guide to Raising Adolescents. Jensen explains how these eye-opening findings dispel commonly held myths about the teenage years and provides practical suggestions to help adults and teenagers negotiate the mysterious world of adolescent neurobiology. Frances E. Jensen, MD, is Professor and Chair of the Department of Neurology at the Perelman School of Medicine, University of Pennsylvania. She was Professor of Neurology at Harvard Medical School, Director of Translational Neuroscience and Director of Epilepsy Research at Boston Children’s Hospital, and Senior Neurologist at Boston Children’s and Brigham and Women’s Hospitals. She lectures widely about the teen brain at science museums, TEDMED, and high schools. Adam Savage is an industrial special effects designer and former co-host of The Discovery Channel’s Mythbusters with Jamie Hyneman." This is part of the Conversations on Science series at City Arts and Lectures. A little more than a year ago, I wrote about the benefits of unplugging for Rodale's Organic Life. As I talked to experts and did some research, I realized how important this actually is - for adults AND for kids. 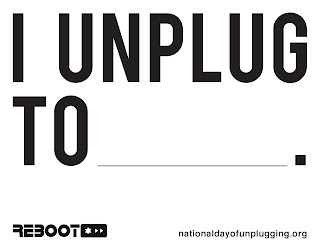 The National Day of Unplugging is coming up, March 3-4. Consider doing this with your family. With your free time you can play games, read, explore outside (hopefully the weather cooperates), cook together, bake some cookies, do some crafts or come up with your own ideas!